Packaged in beautiful craft paper box. 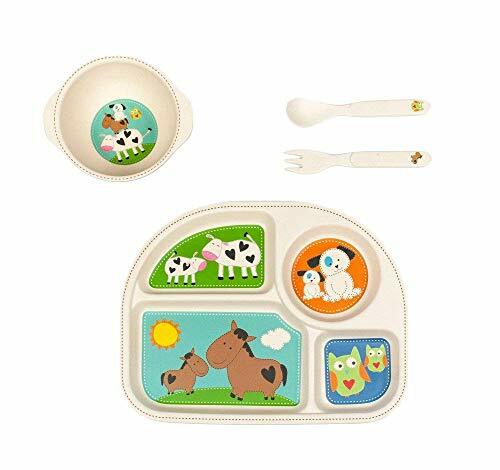 Made of biodegradable, dishwasher safe, and durable bamboo fiber Do not microwave Set measures approximately 9.5 x 11.5 x 3 inches. Dishwasher safe; Do not microwave. Packaged in beautiful craft boxes for easy gifting and storage. If you have any questions about this product by Tiny Footprint, contact us by completing and submitting the form below. If you are looking for a specif part number, please include it with your message.